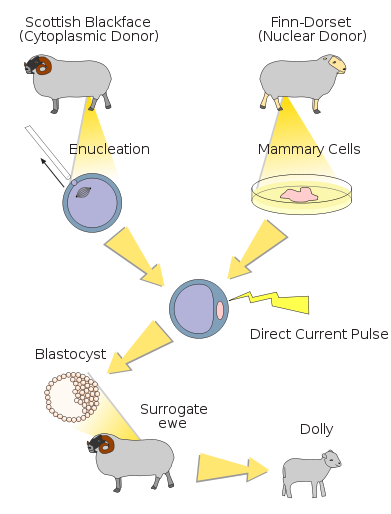 A typical example of an incorrect somatic cell nuclear transfer diagram, showing an isolated nucleus being transferred. This diagram is widely available on Wikipedia. Correct figures should show the donor cells being fused with the enucleated egg.